Gastric bypass surgery has become an increasingly common option for people looking for permanent weight loss. However, gastric bypass surgery requires lifelong behavior modifications, including to the foods you eat. Changing your diet also encompasses avoiding carbonated beverages. It is important to follow the diet prescribed by your bariatric surgeon and registered dietitian. To understand why these restrictions are in place after gastric bypass, it's important to understand what gastric bypass is and the purpose of the post-operative diet. In gastric bypass surgery, a large portion of the stomach is bypassed when a small pouch is created using the upper portion of the stomach. This pouch is then connected to the small intestine. The result is a dramatically reduced stomach volume and the ability to eat less. The purpose of the post-operative diet is to first allow your stomach pouch to heal, and then to promote weight loss. While most foods can still be eaten after surgery, some should be avoided, like carbonated drinks. Carbonated beverages have had carbon dioxide added to them. The result is a pleasant effervescence that most people enjoy in drinks like soda. While most people typically think of soda, many alcoholic drinks like beer, hard cider and champagne are often naturally carbonated. There are a few reasons why these beverages should be avoided after having gastric bypass surgery. Beer, hard cider and champagne contain excess calories generally considered "empty" because they do not provide much nutritional value. After gastric bypass, patients are forced to limit caloric intake, and these empty calories replace valuable space that could be filled with healthy, wholesome nutrition. In addition, because of their effervescence, carbonated beverages pull excess air into the newly formed stomach pouch. This can cause stomach upset, nausea, and excess gas. There is a risk of damaging the stomach pouch if extreme nausea occurs immediately after the operation. Many beverage options are better after gastric bypass. Aim for 48 to 64 ounces of zero or low calorie beverages per day. 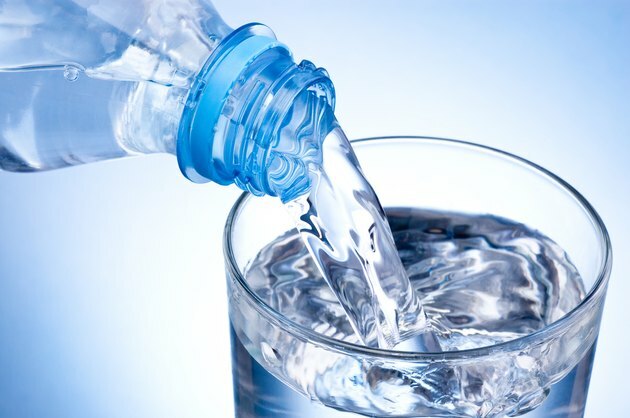 Water is always the best choice, but many people are easily bored with drinking water. If you need to liven up your water, adding a calorie free sweetener like a flavored water packet is acceptable.